The small village of Trellech provides much to excite the antiquarian. 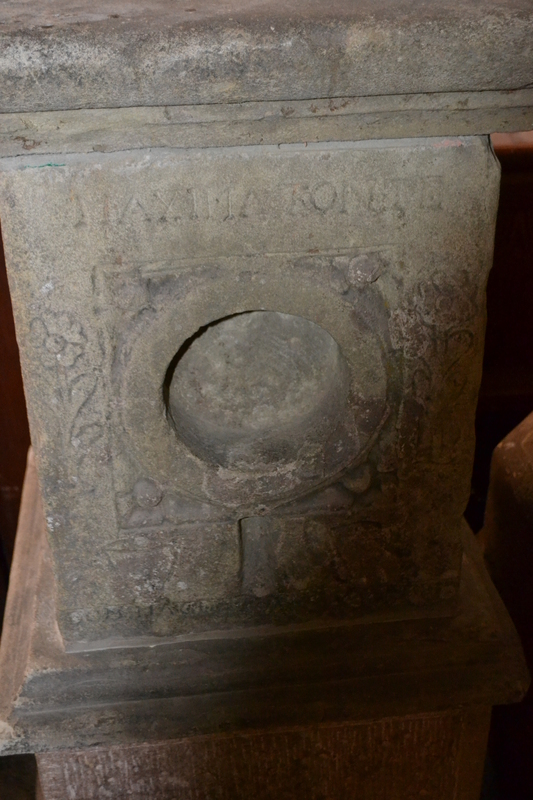 Its curiosities being forever immortalised in the 17th century sundial in the church. 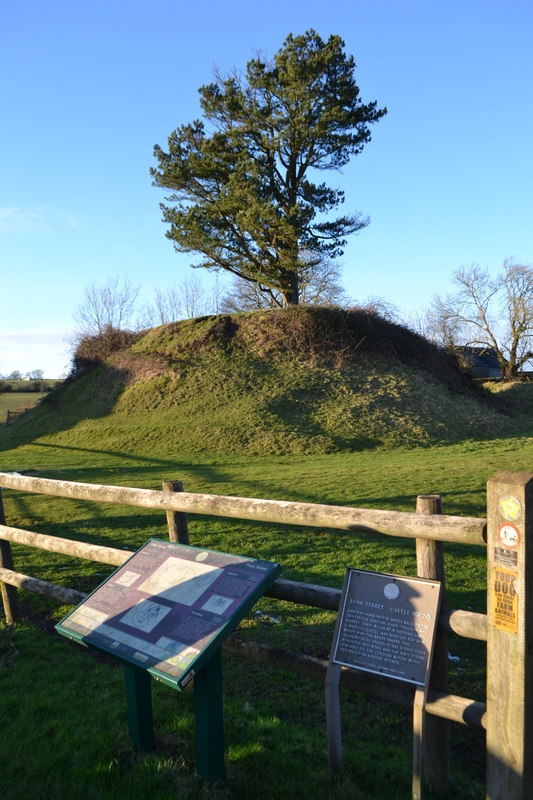 The most obvious is the Tump Turret, a large mound once a Norman motte and bailey castle. However, a local myth states that this was the burial mound in a battle between Harold Godwinson and the opposing Welsh in Gwent in 1063. 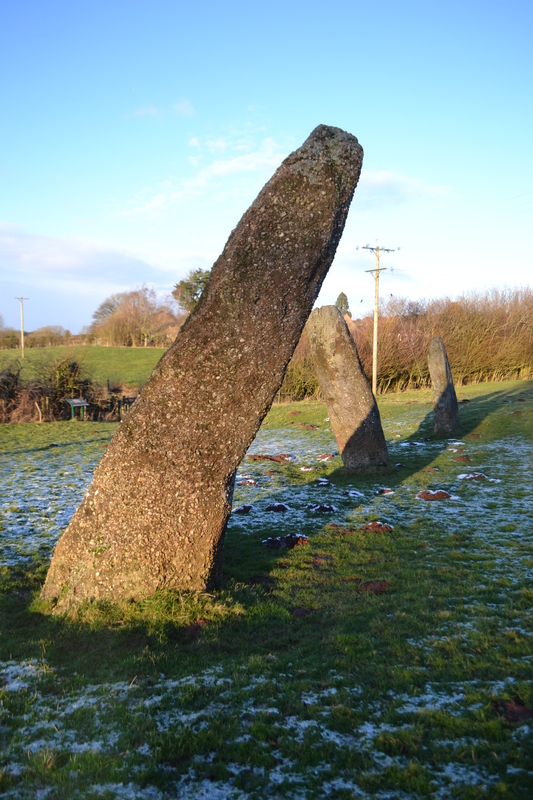 This claim is also given to three large conglomerate stone monoliths. 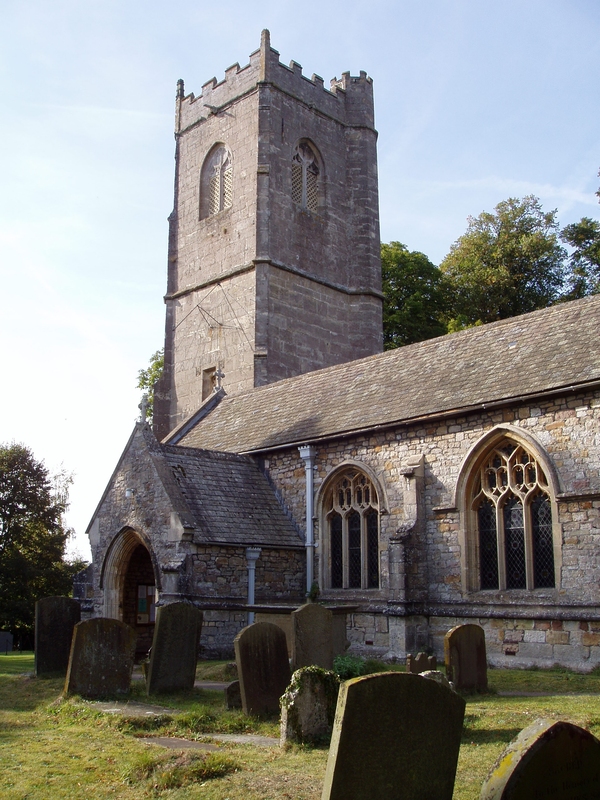 Here folklore states that three chieftains fell in that battle with Harold. 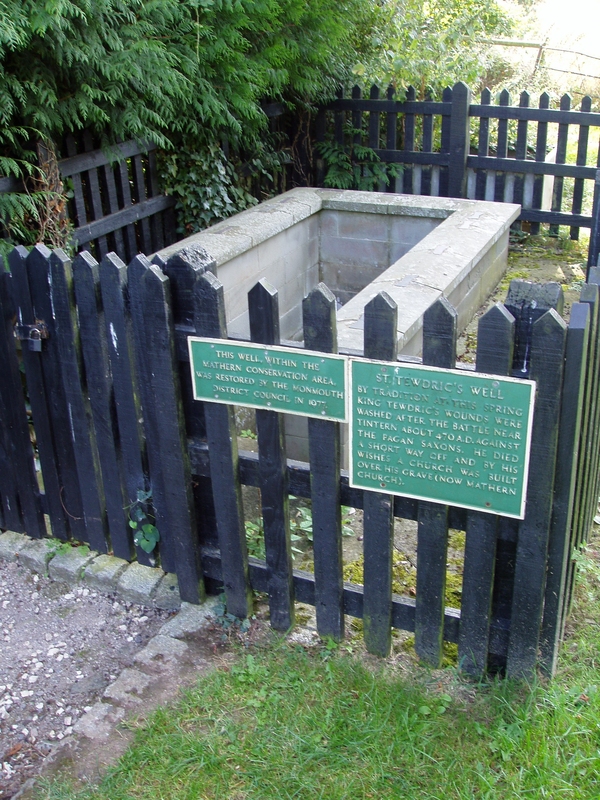 Another theory is that they were arranged to indicate local springs and that is significant in consideration of the village’s most famed site – St Anne’s or the Virtuous Well. 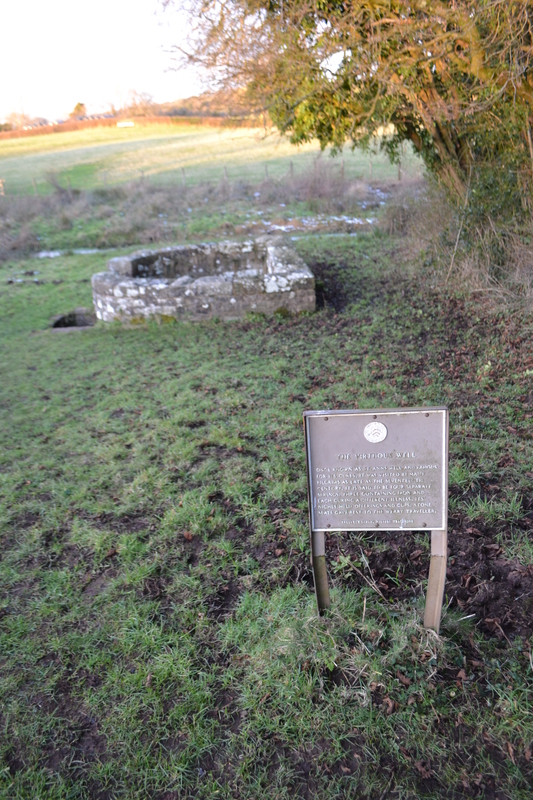 The springhead arises in a horseshoe shaped stone built well enclosure. Stone benches are set up either side along the curved walls of a small paved courtyard. 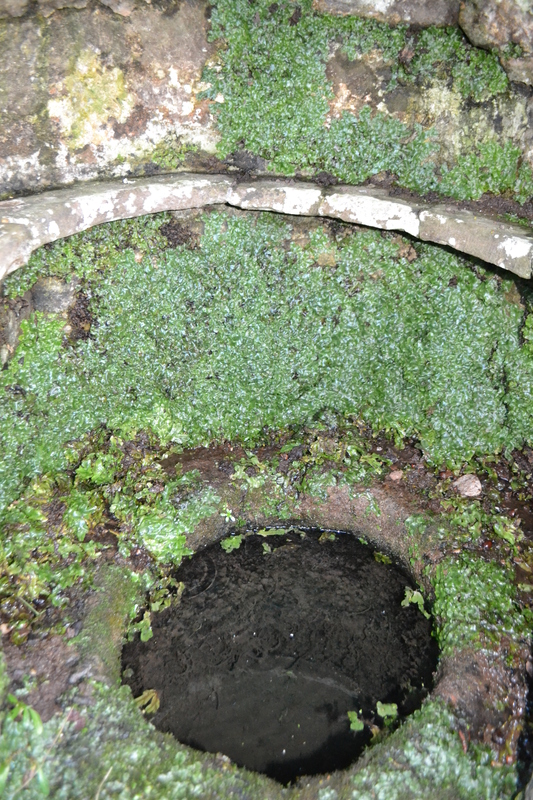 The spring arises in the arched recess through a stone basin. 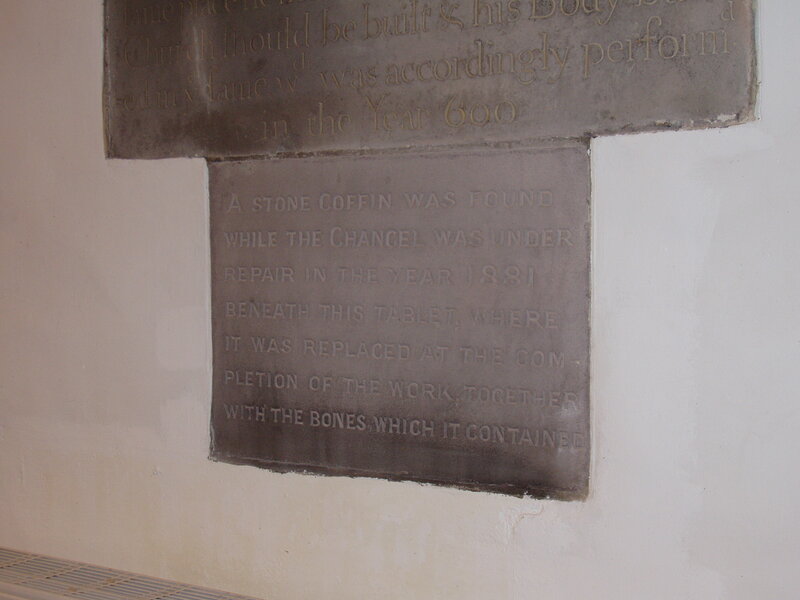 There are two squared niches in the rear wall which may have been used to place offerings. 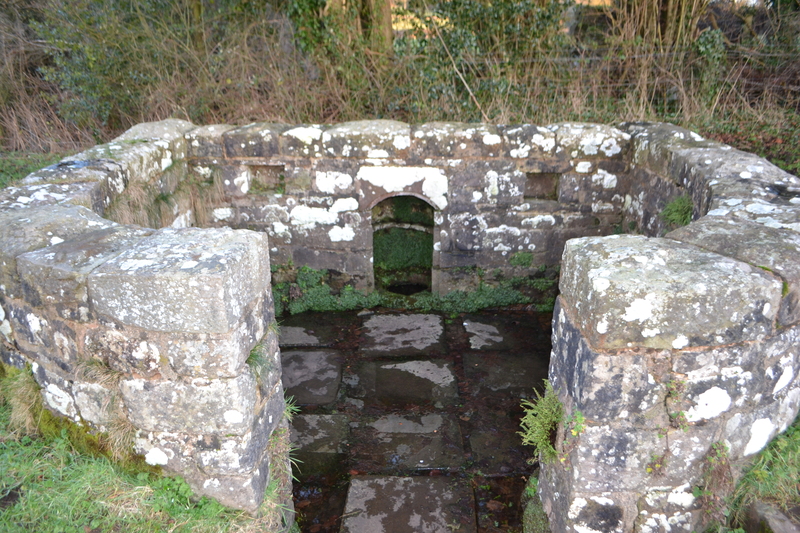 Although the stone work is medieval in date it has gone through periods of dereliction as noted by 19th century writer W. H. Thomas described it as ‘neglected fountain’ and the owner needed to ‘cleanse out its channels and invite guests to a festival of health’ as well as ‘rebuild its ruined walls’. Sir Joseph Bradney’s History of Monmouthshire (1913) shows the walls overgrown, soil virtually reaching the wall and the central forecourt flooded. It was fortunately the advice was headed and it was restored, the last time fully in 1951 for the Festival of Britain. A local legend claims that the water is connected to Tintern Abbey by a three mile tunnel, but this is more likely a confusion between the discovery of drainage channels and the knowledge that the Abbey owned property in the area. and ‘complaints peculiar to women’. These wide range of powers owed it the name the Virtuous Well, a convenient name to re-focus from any popish reflections. Furthermore the spring is one of the traditional locations for the hanging of cloutties, which dipped in the water and rubbed on the skin, took away the affliction as it rotted on the trees around. Cloutties are the only evidence today of veneration at this site regularly seen however there were none there when I visited last in a snowy January. The commonest form of well-wishing here was that by throwing a stone into the water, a maiden could find out by the number of bubbles how many months it would take to be married. Other folk would throw a stone which by the number of bubbles rising would indicate whether the wish would be granted. The well was said also to be the haunt of fairies who were particularly visible in Midsummer. A local legend tells how a farmer dug up a fairy ring near to the well and the next day found the well dry which never happened. However it was clear that to others it had water and that it only happened to him, the other villagers could draw water! 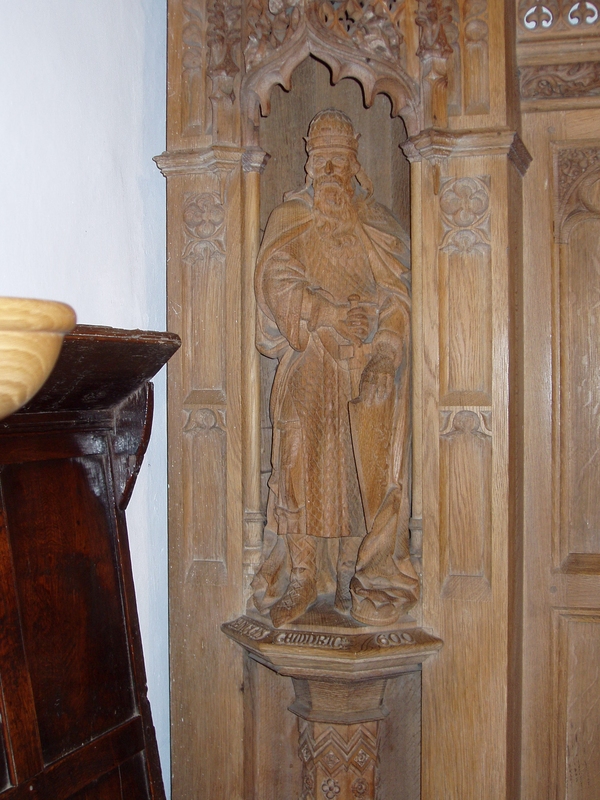 Finally he was told by an old man sitting on a wall that if he returned the ring he would be able to withdraw water – he did and the water was restored to him. Another story tells of a witch who displeased with the suitor of her daughter sent him to the well where he was pulled into the water. After a struggle, three times over, he escaped and running back to the house saw the mother as an evil witch stirring a pot and he ran!